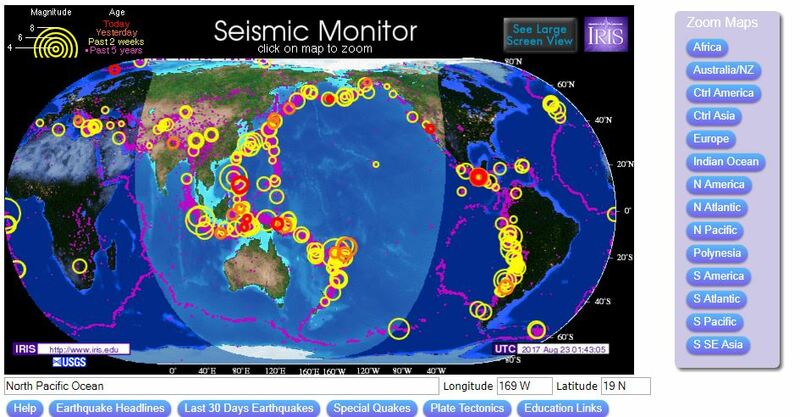 Examine the active map on the Seismic Monitor ﻿website (link from image below). 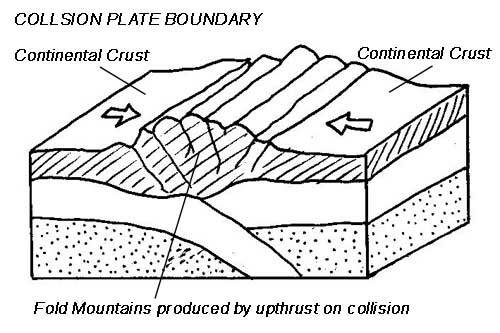 What patterns can you identify in where earthquakes occur globally? 1. 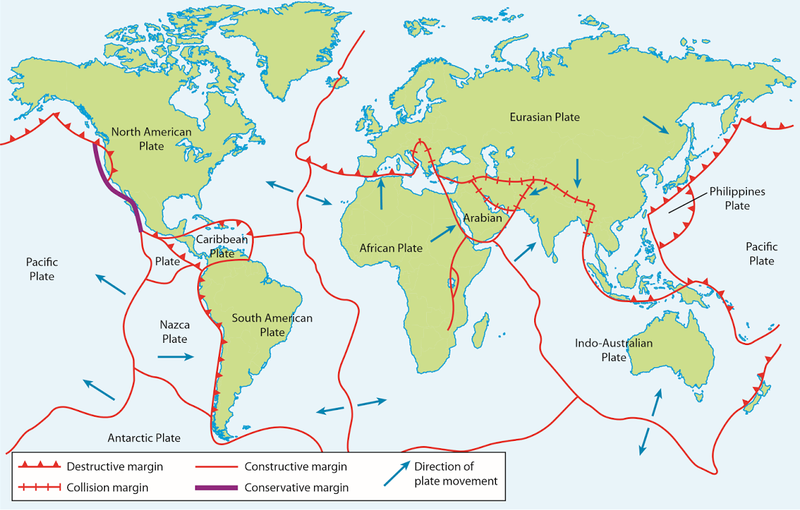 Plot the location of all of the earthquakes onto a map. Ensure that you create a key which identifies which is which. You should also include the magnitude and death toll. Your map should be clear and show care and attention to detail. 2. 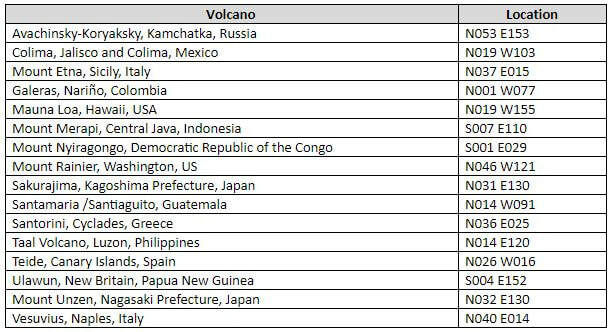 Add the volcanoes listed above to your map. ​3. 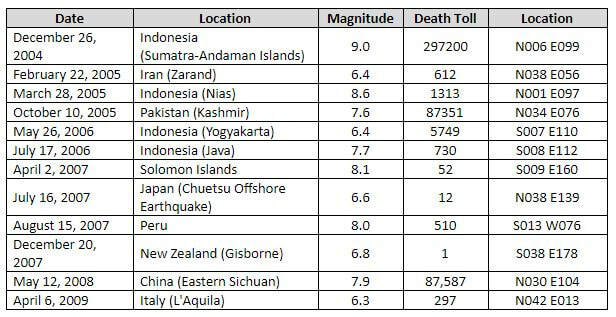 Through your own research, add to the list of earthquakes and volcanoes with any which have been in the news in recent years. 4. 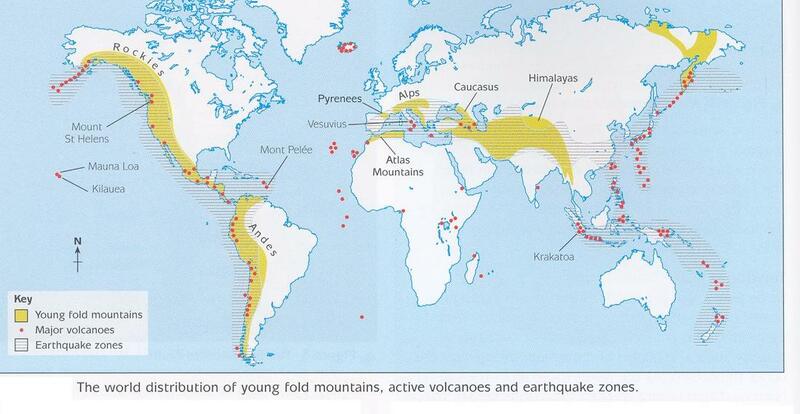 Research where “Fold Mountains” are found globally. 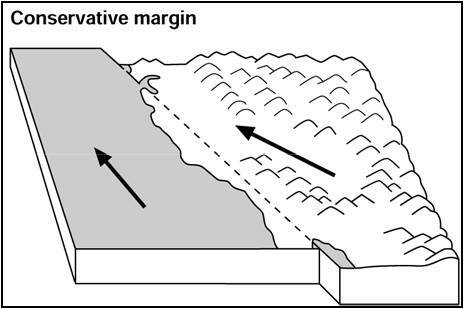 Add some major fold mountains to your map. You could even include ocean trenches. 5. Write a detailed written account of the distribution patterns shown. You should consider annotating your map. What are the overall patterns? Where in the world is there a concentration? 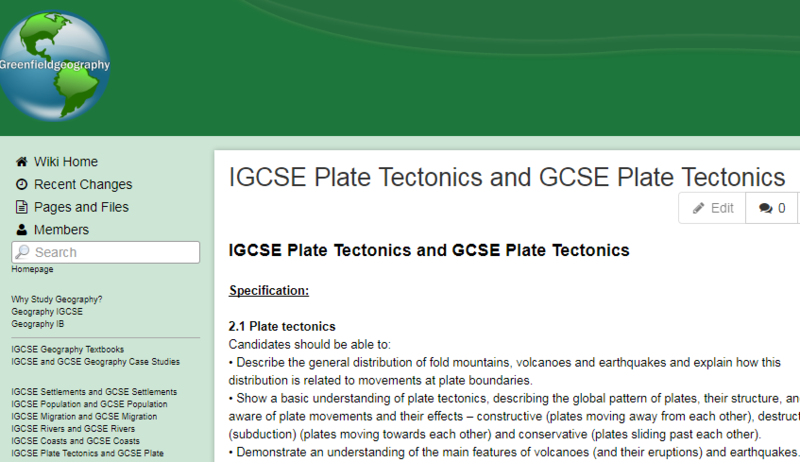 Where is there no evidence of tectonic activity? Use place specific language – names of countries, oceans and continents, directions, descriptive terms (clustered, nucleated, linear, dispersed). 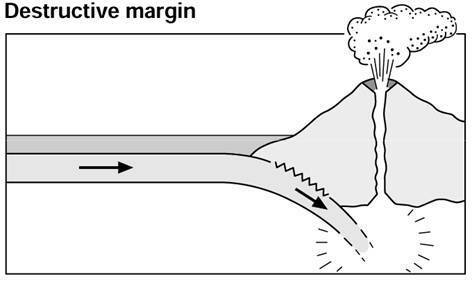 How are the the locations of earthquakes, volcanoes, oceanic trenches and fold mountains connected? 7. 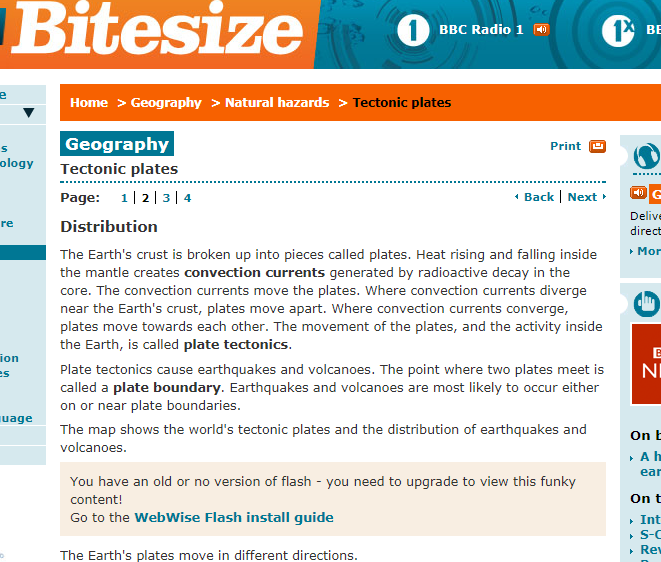 Use the student book and/or the information on Greenfield and BBC Bitesize (links below) to write an extended paragraph explaining the patterns you identified from your own map. 8. Do some additional research to explain any anomalies e.g. Hawaii. 9. 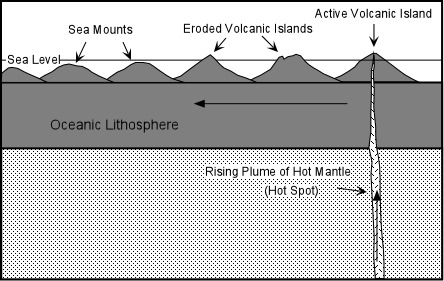 How does what you have read help to explain the location of fold mountains and ocean trenches?